Google is really setting themselves up as the anti-Apple, and it doesn&apos;t show more than in its new ad for Motorola&apos;s Moto X smartphone, which hits select newspapers today. 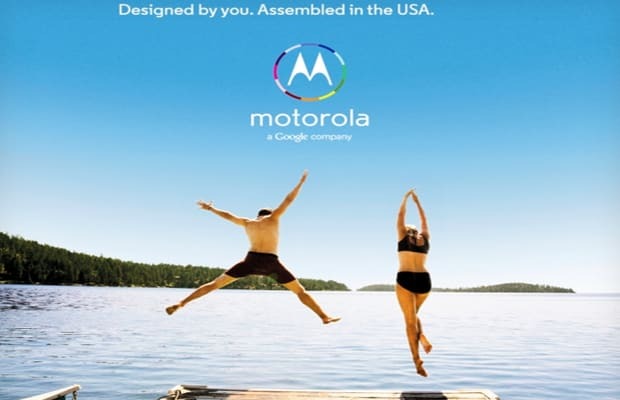 In contrast to Apple&apos;s famous signature, "Designed by Apple in California," Google&apos;s branded the Moto X in the ad as "Designed by you. Assembled in the USA." Two things: first, the &apos;assembled in the USA&apos; could be taken as a slight toward Apple&apos;s products being manufactured overseas, namely at the hellhole called Foxconn. A smart patriotic swing for an ad popping up just a day before Independence Day. Second, &apos;designed by you&apos;? Unfortunately, we don&apos;t know what this means yet, but in a full-spread of the ad (click here), the company goes on to say that "today you should have the freedom to design the things in your life to be as unique as you are." Google has also launched a page where you can sign up for Moto X news. If you want to see the ad in person, grab today&apos;s editions of The New York Times, The Washington Post, USA Today, or The Wall Street Journal. Excited yet?